These Torque Force 400-96 Torsion Cable Drums are sold as a pair (1 right drum and 1 left drum). The drums are 4″ in diameter and work for up to an 8ft garage door. The cable drums have a 265lbs capacity per drum and will handle cables up to 1/8″ in diameter. 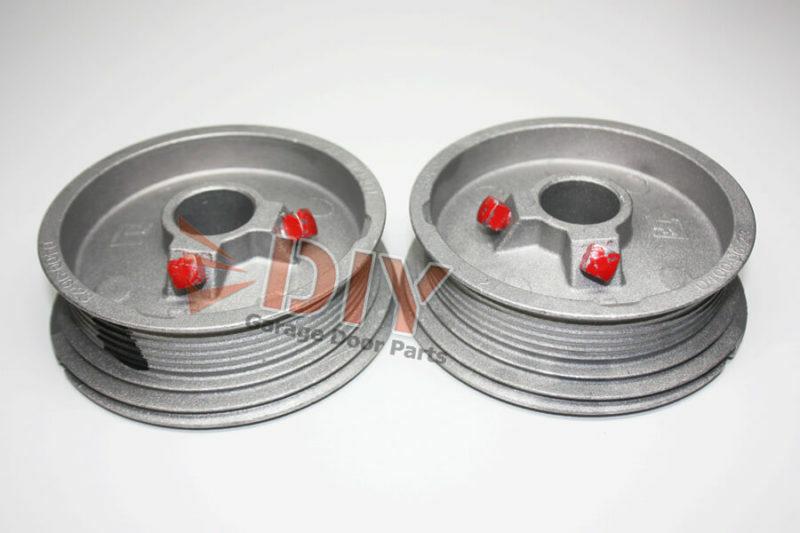 These are compatible replacements for your worn our or cracked OMI 8, APCO 400-8, DNS 4X, and Overhead TD-1A drums. It’s a good idea to replace your old drums if the grooves are showing wear or there are cracks or chips in you old drums. 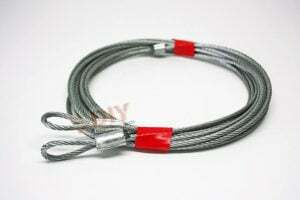 Do you want to make your torsion cables last longer? Want to make your garage door more quieter? 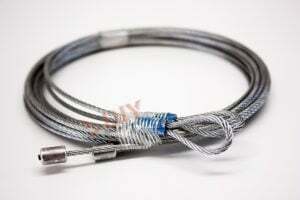 If so, use 3/32″ Torsion Cables with your new cable drums. The smaller diameter cables wont rub together as the door raises and lowers. This lack of friction will greatly extend the life of your cables. Since the smaller cables don’t rub, the garage door will run much quieter. This will also put less stress on the rest of the moving parts and make the entire system run better and last longer. 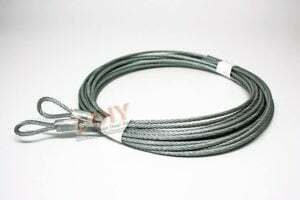 Don’t worry, the 3/32″ garage cables are still plenty strong enough to lift any residential garage door! Here at DIY Garage Door Parts, we understand that if you are looking to buy a new garage door cable drum then odds are that you have one that is ALREADY broken! This means that your cars are either being held hostage or that you are manually lifting your garage door instead of pushing a button and the garage door opens like it is supposed to. In most cases our orders go out either the SAME DAY or if placed in the evening then they go out NEXT DAY. We also offer the full spectrum of expedited quick ship options available via UPS. That means if you are willing to spend the money for next day air to get your replacement garage door cable drum . . . you can. It’s your choice just like it should be! That’s right, all of them. Order Online and we will ship replacement garage door cable drums to anywhere in the US. These drums are a great replacement of the old one. Perfect fit and very solid. Great service with fast shipping. Installation was a breeze. I will order here again. Awesome DIY vids, Thanks guys. Great quality of product. Arrived quickly. Easily installed on my 10 foot wide by 8 foot tall garage door.